Just got back from the Machine Gun Shoot at the Knob Creek range near West Point, KY. I used to go back in the 90's when machine guns were still affordable, but now its just to look. Safety Harbor was there and I took my Zenith 5RS to get their collapsible tailhook brace fitted on. 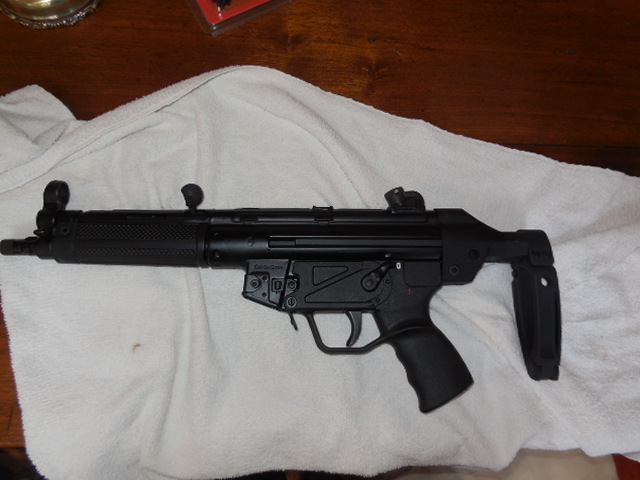 I really cannot stand the look of the folding brace on an MP5, it just looks awkward. Even after bargaining, it was $360. Gamera and gt40doc like this. I sent PM, but not sure it worked. To recap, Safety Harbor had the entire rig, I had to provide nothing. Call them at 727-726-2500, the lady that answers should be able to help, if not ask for Walter. 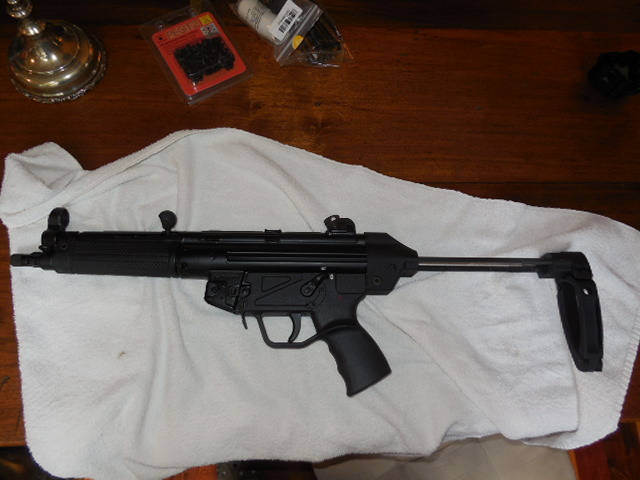 It is a good brace, three position, not quite as sturdy as the HK collapsible stock, but plenty strong enough.